There are about two main pressure control cartridge valves in hyundai excavator, control each of the main pump respectively, then each of the main pump control three action, digging bucket with a big arm, in the arm while walking , rotation walking with the other side is a group, all the two main relief control the relative three action. 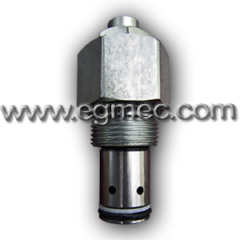 every action also has pressure control valve , such as the major lift arm and lower arm. 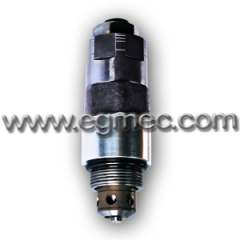 Group of Hyundai Excavator Pressure Control Cartridge Valves has been presented above, want more	Hyundai Excavator Pressure Control Cartridge Valves and Hundai Brand Excavator Pressure Control Cartridge Valves, Please Contact Us.